Local crowdfunding platform FundedHere has raised a significant amount of capital for homegrown Waitrr – a first-of-its-kind ‘mobile waiter’ app which automates food orders to eliminate users’ wait times when dining in restaurants or ordering takeaway food – in an oversubscribed 30-day campaign that surpassed its initial target. 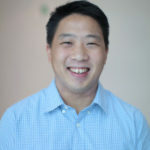 Waitrr’s campaign was funded by 12 registered FundedHere investors including reputable Singaporean investors Andy Lim, Founder and Chairman of private equity firm Tembusu Partners, and Steve Kek, CEO of OMG Venture. It is FundedHere’s third oversubscribed campaign in recent months, following the platform’s raise of S$516,000 for medtech start-up AEvice Health and S$300,000 for clean tech start-up EcoWorth Tech end-2017. Waitrr also offers a takeaway option for many restaurants – a favourite feature particularly during lunch peaks. Users order and pay for their desired meal whilst still in the office and just pick it up by the time they reach their desired restaurant without the need to queue. 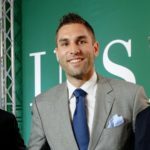 The app was conceptualized by Tim Wekezer for the 2015 INSEAD Venture Competition, where it won first place. It was registered as a company that same year and has since experienced consistent growth. It now boasts a user base of 15,000 customers and 110 restaurants. 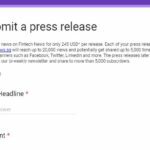 “We are thankful for the enthusiasm and support of the community at FundedHere, which both validates our business model and proves that we are on the right track with our product. 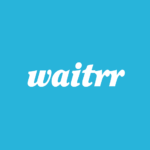 Waitrr will use the funds from the campaign to ramp up end-user acquisition and promotions, develop new features and expand its business beyond Singapore. The company’s future plans include leveraging synergies with sectors such as food delivery, e-payments, marketing, tourism and hospitality. Waitrr aims to become Asia’s leading F&B mobile payments processor, as well as the industry’s preferred point of reference for consumer data. Launched in March 2015, FundedHere is Singapore’s first equity and debt-based crowdfunding platform. It obtained its Capital Market Services License from the Monetary Authority of Singapore in March 2016. Including Waitrr, it has helped 19 companies raise S$8.1 million in funding to date.